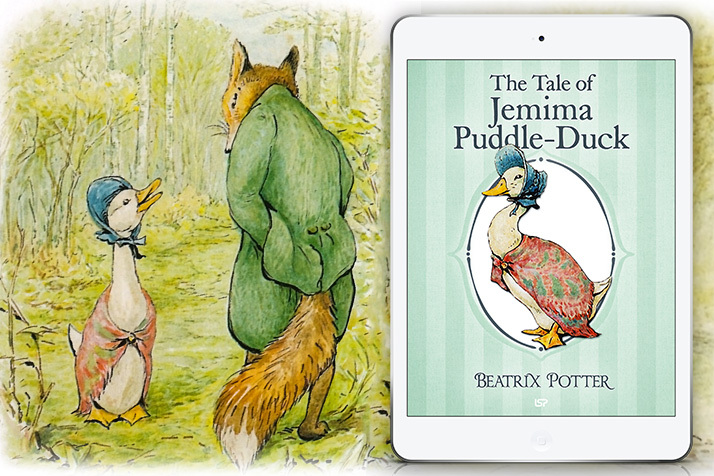 Beatrix Potter wrote and illustrated The Tale of Jemima Puddle-Duck, the story of an innocent duck who wants to hatch her own eggs and is deceived by a sly fox, only to be rescued at the last minute by Kep, the farm’s dog. The book, published in 1908 by Frederick Warne, was always one of her most popular. The Three Little Pigs win again, well… one does. The traditional tale has been retold many times, but Leslie Brooke’s illustrations are probably the most beautiful ever made for the story. Now available in eBook format. Beatrix Potter wrote The Sly Old Cat to be published as a concertina book. But these books became damaged very easily so the booksellers didn’t like them. Later, when her publisher wanted to publish it with her other books her eyesight was no longer sharp enough for this kind of work. However, the spontaneity of these drawings makes them especially modern and interesting. Now Free on the iBookstore! Beatrix Potter had a nice washerwoman, Kitty MacDonald, who was the inspiration for Mrs. Tiggy-Winkle. Since Kitty was not a hedgehog, Beatrix Potter used Mrs. Tiggy, her own pet hedgehog, as a model. Together they make the lovely Mrs. Tiggy-Winkle. The book was first published in 1905. 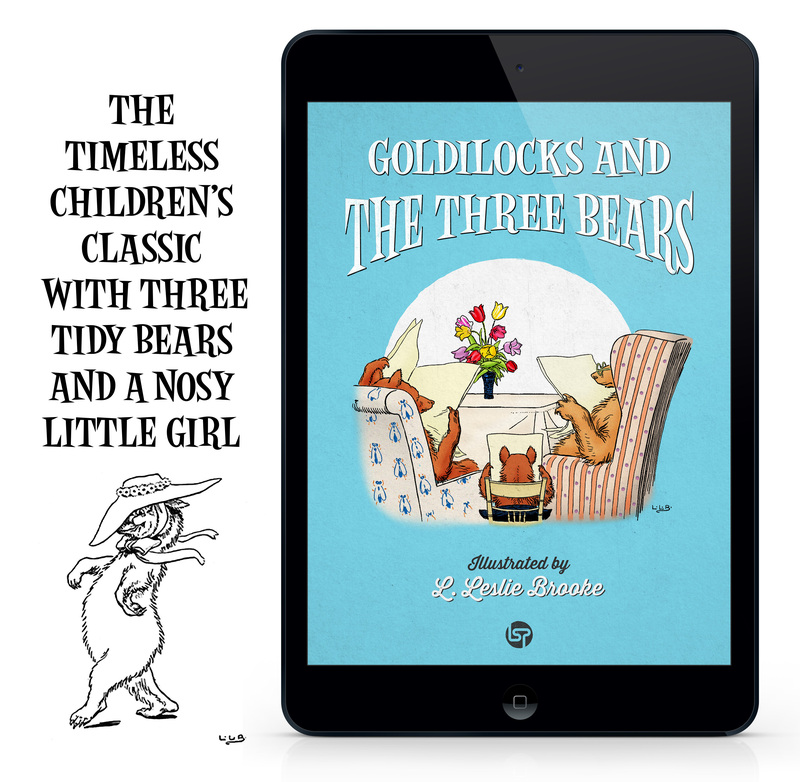 The other character of this story is a little girl called Lucy, who is always losing her pocket-handkerchiefs. Two Bad Mice just got published, and guess what? They’re rather nice! Norman Warne, Beatrix Potter’s editor and later fiancé, made a beautiful doll’s house as a Christmas gift for his favourite niece, Winifred. This house inspired the drawings in this book and can still be seen in Hill Top, the farm Beatrix Potter bought in 1905. The story was inspired by two mice caught in a mouse-trap in her cousin’s home. The Tale of Two Bad Mice was published for the first time in 1904. An eBook with two rabbits loose in the McGregors’ garden? A seriously funny mess! Benjamin Bunny, the cousin of Peter Rabbit, was inspired in a real rabbit, the first that belonged to Beatrix Potter. “He is an abject coward”, she wrote, “but believes in bluster, could stare our old dog out of countenance, chase a cat that has turned tail.” He was also a very handsome rabbit. This book contains many views of Fawe Park, in the Lake District, that Beatrix Potter sketched while on holiday. It was first published in 1904. These mice can stitch faster than you can tweet! Nooo?? Check’m out! And that NUTkin squirrel is still around, always misbehaving! 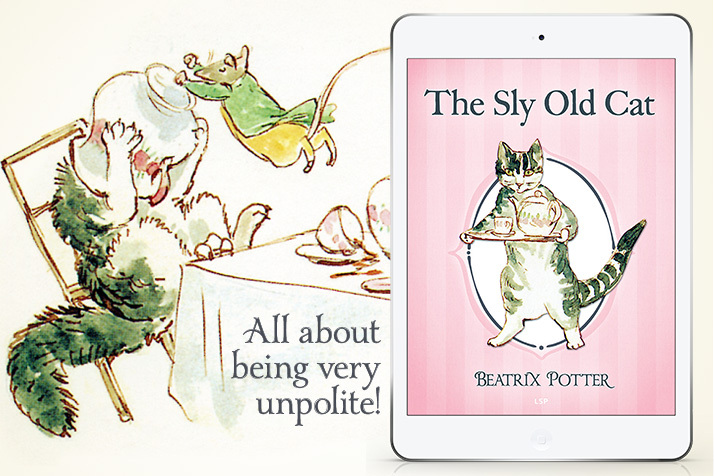 Just released in the Amazon’s Kindle Store, a new edition from Beatrix Potter classic with digitally enhanced illustrations, and the same naughty rabbit and his mischiefs. This is the first release of a new Beatrix Potter Tales collection to be published by LSP.